HomeUncategorizedCould institutional philanthropy follow Prince’s example? 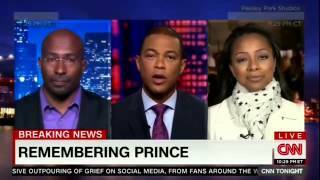 Living in Minneapolis I’ve followed the life of our dearly beloved Prince perhaps more than others have, but I was very struck by Van Jones’ powerful story he put forth on CNN’s Don Lemon show. What a wonderful story of personal philanthropy! But listen carefully at 2:40 – what if institutional philanthropy – official foundations with boards and staffs – could allow themselves to work like this? Not necessarily all the time, and probably not for everyone. On the other hand, why not?